Spread 37.0 at game time. Missed tackle on edge springs OSU for long run. 7-0 OSU 11:19. Too easy. So is it time to start with the moral victory stuff? My audio stream is at least 2 minutes behind you. No, it's time to answer the score. Easy money. Tulane probably mailed this game in on the flight up there. Yeah ok. This will get ugly quick. Which is worse, mailing it in or they gave it their best? Unless they get up by 37, we're ahead. By this rate they will be 'ahead' by the 2nd quarter. Listening to Graf, the refs are screwing us. Bogus PI call, and a no call on a late hit when Banks slid. Your sample size is too small to draw such conclusions. Defense: We are doing ok against the run. The pass we are sitting in zone coverage and getting NO pressure so they are driving us. Offense: QB is making questionable reads, missing receivers and running back words in the backfield. Lastly we are the only "triple option team" I have ever seen that pitches the ball just 1/15 option plays. Last edited by Poseidon on Sat Sep 22, 2018 3:15 pm, edited 1 time in total. Too many of our fans are willing to resign themselves to (supposed) fate, rather than to go out fighting. Yeah... it's not the superior talent.... bad playcalling, poor performance.... basically typical Tulane.....yeah it's those darn pesky refs..... c'mon Roller I love your optimism but "c'mon man"! Not watching this one. Too sad to see the team in this condition. No.... just watching the game live and seeing with ones own eyes. Look...... i'm rooting for Tulane but it's kinda obvious just looking at what's happening. You can still root for your team and understand/know that they are going to get obliterated. I hope we score. If you expected anything besides a wholesale beatdown, I have some ocean-front property in Arizona you'll be interested in. Best bet of the weekend. Just way too many issues. And talent and coaching is #1. 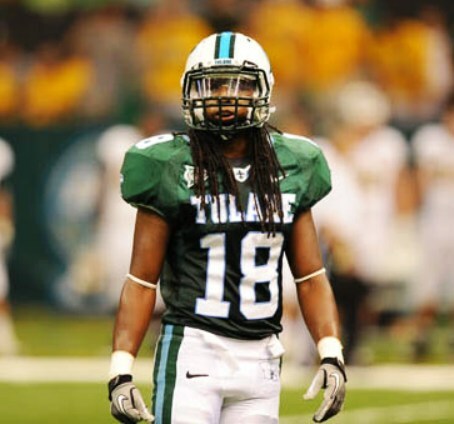 I use to tell my LSU friends that if Tulane were to just score it means we win the game lol. The offense is run blocking ok.